Posted on October 26, 2012	by Jill R.
At some point I must have investigated eMeals menu planning service, because today I got a promotional email from them with a recipe for Pepperoni Pizza Muffins. They looked yummy and, more importantly, they looked like something I could pack for my fine-motor challenged kid. I assembled my ingredients to make the recipe gluten-free…well sorta. I bought a box of ready-to-go organic tomato soup. I was well underway with the pepperoni mincing and baking mix measuring when I discovered that I did not, in fact, have enough gluten-free Bisquick to make the recipe. In fact, I had exactly half of what I needed. At that point I was just too stubborn to give up. Dammit. I searched the cupboards and came up with a box of Gluten-Free Pantry Muffin and Scone Mix. Ok, subbed that for the 1.5 c of baking mix and added an extra 1 tsp of baking powder. POWDER, not soda. Anyhoo…happy accident. This is what we got. I tried half with no cheese, half with cheese. Definitely needed the cheese..and I think Daiya shreds might work really well. My husband and I liked them a lot. We even left a few for the kiddies. Next time I’ll make Kyle’s favorite pizza flavors: green pepper, onion, and olive. No cheese. Preheat oven to 350. Combine dry ingredients, then add pepperoni and cheese, add soup and stir until moistened. Batter is lumpy! Prep mini muffin tin–I used spray olive oil to coat the inside of the cups. Fill muffin cups about 3/4 full. And if anyone has tried eMeals, I’d be interested to know what you think. They have gluten-free and Paleo menu options. 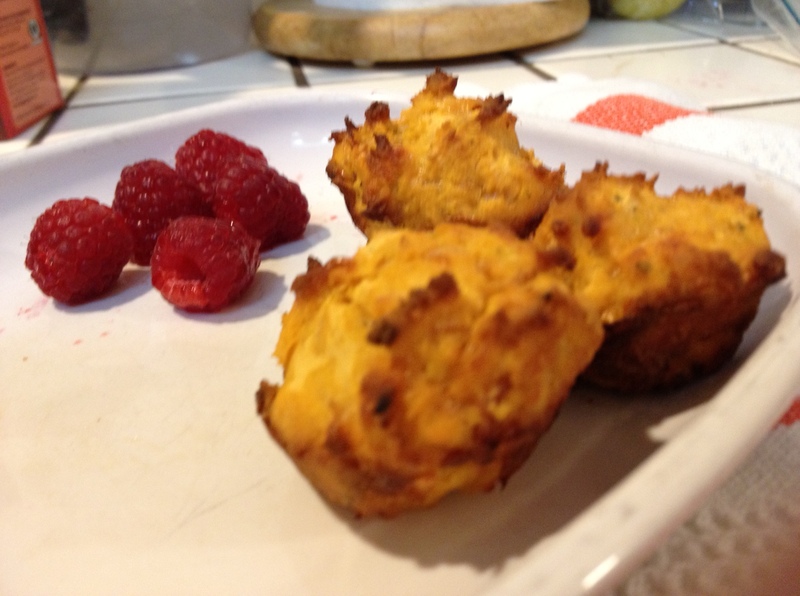 This entry was posted in Recipes and tagged egg-free, gluten-free, kid-friendly, lunchbox, muffin. Bookmark the permalink.